One great service. Three historic companies. Your business needs more than a delivery service. You want a partner to provide the very best products for your customers. Cape Dairy is proud to be your partner in excellence. 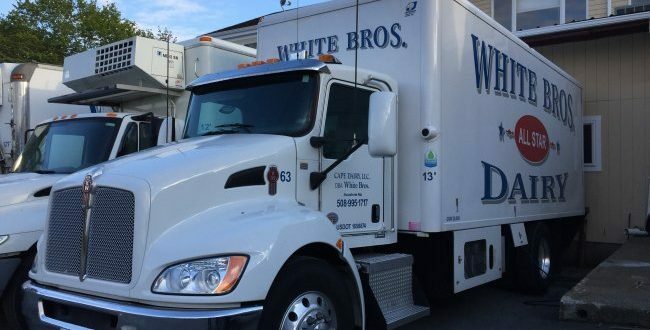 Cape Dairy services all of Eastern Massachusetts with its three families of historic dairies: Cape Dairy located in Hyannis, Massachusetts, Rosev Dairy located in Chelsea, Massachusetts and White Bros. All Star Dairy located in Acushnet, Massachusetts. Get to know our dairies and read more about our company’s history below. Are you looking to set-up an account? Find your location below and call the number listed to get started or leave us a note and someone will get back to you as soon as possible. 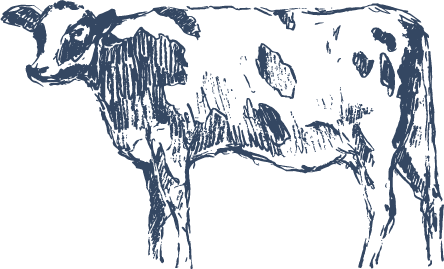 Get to know the history behind some of Massachusett’s most famous local dairies. 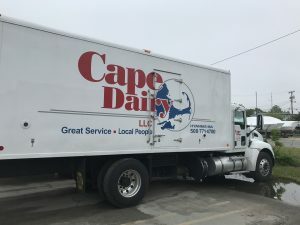 Established in 1979, Cape Dairy is a privately owned family business. The location in Hyannis, MA gives easy access to most of Cape Cod. Delivering from Provincetown to Falmouth, several trucks go out every day year round. In season up to 10 trucks are on the road delivering to over 500 customers. Customers include Restaurants, Hospitals, Nursing Homes, Assisted Living, schools, Hotels and Motels, Ice Cream Stores, Private Markets, Golf Clubs and many others. We also supply Ice Cabinets and Deliver Ice in cubes and blocks. In 2011, they also acquired Rosev Dairy in Chelsea, MA. A much larger operation, Rosev Dairy has around 1400 customers and operates a Cash and Carry Warehouse on the premises. All three businesses are part of the Hood Dairy distribution network: they deliver Hood Dairy Products to Hood customers under contract. The Hood customers are on the same delivery routes as the direct customers, which is very efficient. Get product information, set-up a new account or check on your existing orders by giving us a call. 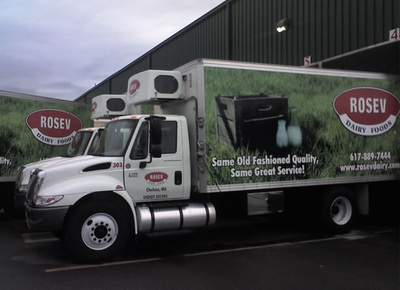 Rosev Dairy is the Boston area’s largest independent refrigerated distributor of dairy and food products. We specialize in delivering products to small businesses, especially small mom-and-pop establishments and gourmet ice cream shops. Our Customer base of around 1,000 business includes all types of food and service venues – healthcare, educational (schools, colleges, and universities), restaurants and catering services, as well as a large number of small family stores and family-owned food serving businesses. We specialize in providing service to Ice Cream Vendors, both mobile and retail stores, and we can provide regular deliveries of just about everything you’ll need to run an ice cream shop. Our retail store, or cash ‘n carry operation, is at 8 Griffin Way, Chelsea, MA where all of the products available for delivery are also available for pickup. Our customers can pickup goods on account, if they forgot to order something or unexpectedly ran out, and we have plenty of customers who pay with cash and credit cards too. Download our Product Catalog or get in touch with us below!